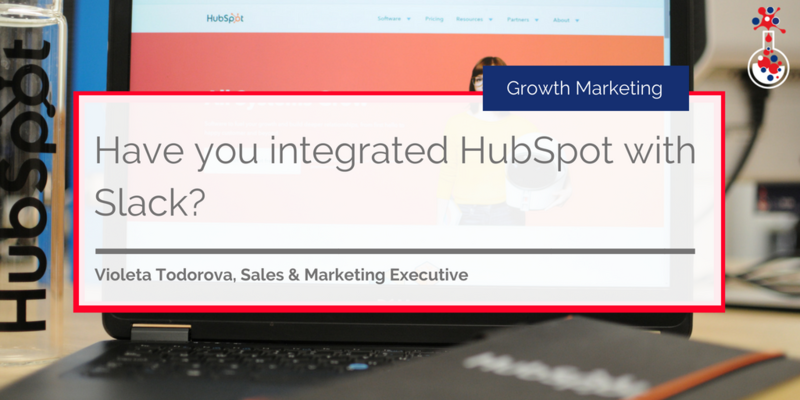 Have you integrated HubSpot with Slack? If you’re reading this blog post, you’re probably using at least one of these tools – and if you’re using both, you’re probably interested in finding out more about how they can be used together. In the event that you’ve somehow stumbled upon this blog post but are using neither, we use and highly recommend both, and they both have freemium products if you’re looking to get started! Slack is a cloud-based set of ‘proprietary team collaboration tools and services’, designed to bring teams together and streamline activities. Within Slack you can create specific communication channels for your teams, projects and clients, as well as quickly and easily share files with your colleagues, allowing you to get things done with ease – and these are but a few examples! 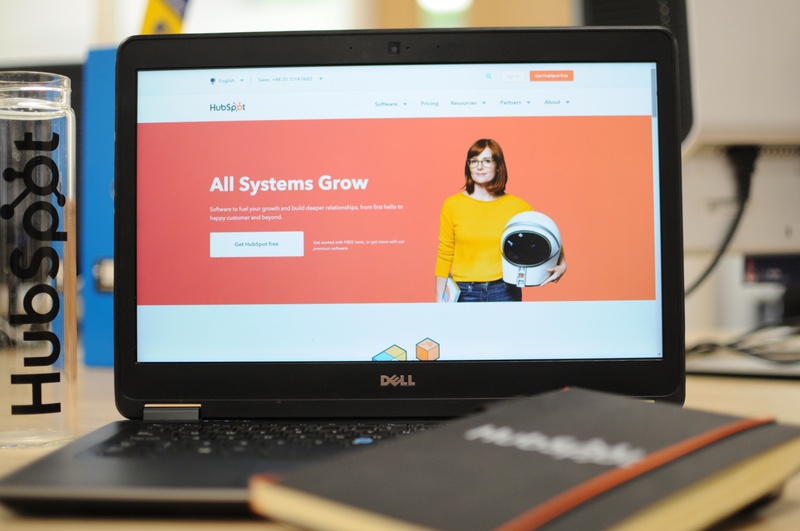 If you’re already using HubSpot and Slack, the HubSpot and Slack integration announced earlier this year in May is something you should take advantage of. We announced the HubSpot and Slack integration when it came out because we are both keen ‘HubSpotters’ and ‘Slackers’ (our entire company uses both tools on a day-to-day basis). 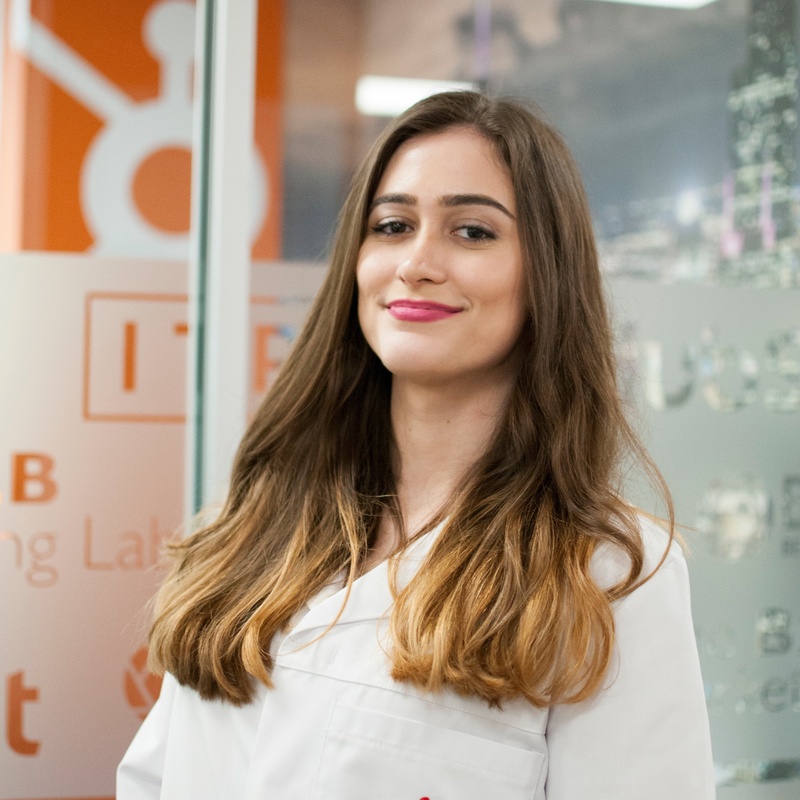 We were so excited we were shouting about it (metaphorically, of course) on our LinkedIn! But what can you gain from integrating the two platforms? Have you ever sent a task to a colleague on Slack and then two days later realised you haven’t received a response on its progress and have completely forgotten to follow up on it? Well now you can conveniently create a task from any Slack message. You can do this by hovering over any message on Slack and clicking on ‘Add a task’. Assigned to: Whoever has been assigned to the task. And after you save, it’s added directly to your list of tasks in HubSpot! Notifications for leads coming in? Yes, please! While HubSpot notifies you of form submissions via email, these notifications can easily get lost in your inbox – or you just might not see them in time. If you get an enquiry, it’s safe to say the sooner you respond, the better. The odds of making a successful contact with a lead are 100 times greater when a contact attempt occurs within 5 minutes, compared to 30 minutes after the lead was submitted. Leads want vital information at the moment of contact, so the sooner you provide them with it, the better! And this is where the HubSpot and Slack integration comes in handy! The HubSpot bot also allows you to use slash commands. These commands help you to find links or information stored in HubSpot via Slack. Think of them like shortcuts. 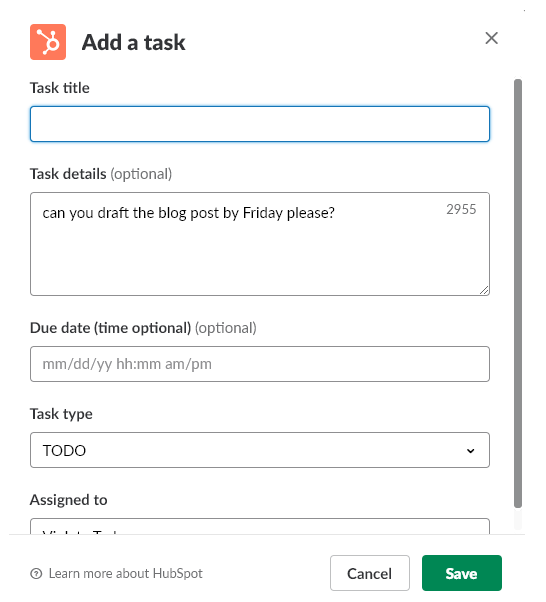 You can see your available commands by typing a forward slash (/) in Slack and scrolling down to the list of HubSpot options. For example, you can search for a HubSpot contact directly through Slack using the following slash command: ‘/hs-search-contact’. It will find a contact with that name that you can then see for yourself and/or share with someone. 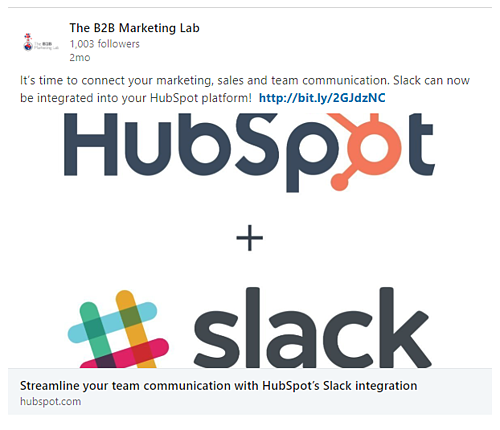 Should you integrate your HubSpot with Slack? With disconnected tools, sales reps find themselves spending a lot of time doing repetitive manual tasks like data entry and writing emails from scratch. The 2018 State of Inbound survey found that 32% of salespeople are spending an hour or more on data entry each and every day. (Source: HubSpot, 2017) As HubSpot states, “software should exist to help minimize that time spent, not create extra steps”. By connecting tools your team already use, such as HubSpot and Slack, both marketing and sales professionals can spend their time way more efficiently and focus on what’s most important: building great, long-lasting relationships with clients and prospects.